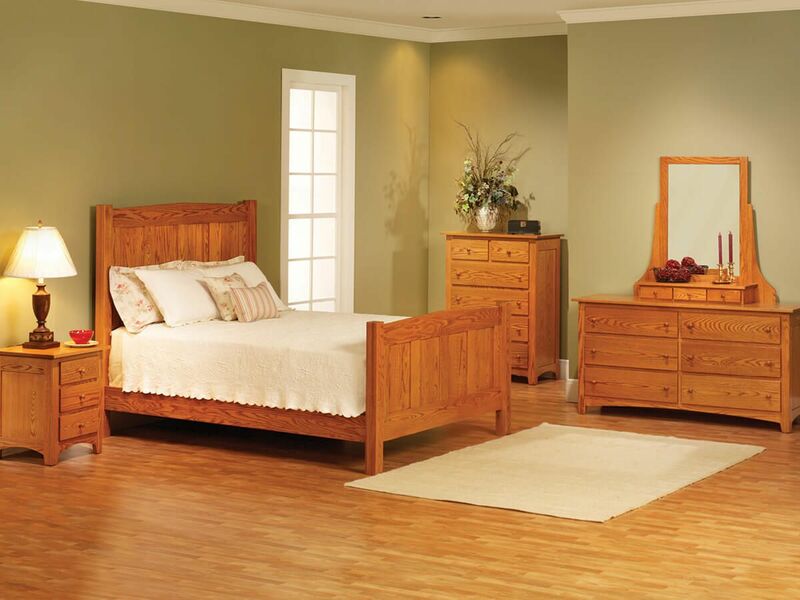 Our Amish Cascade Locks Mirror Dresser is constructed of solid hardwood by our Amish artisans using durable, time-tested mortise and tenon joinery. 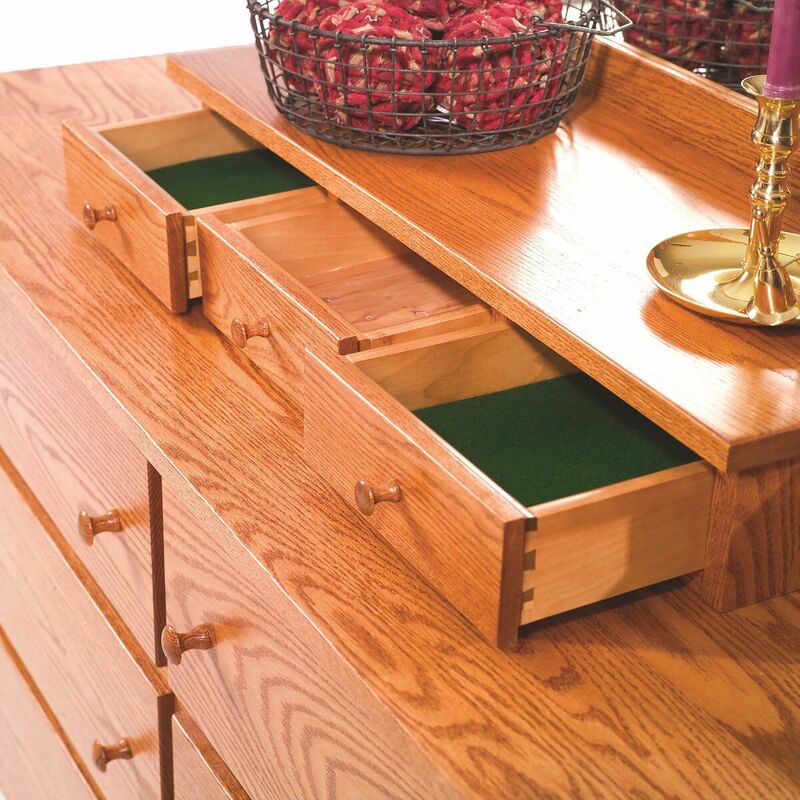 Beneath the mirror of your Cascade Locks Grand Dresser, you'll find three small drawers, perfect for storing accessories. 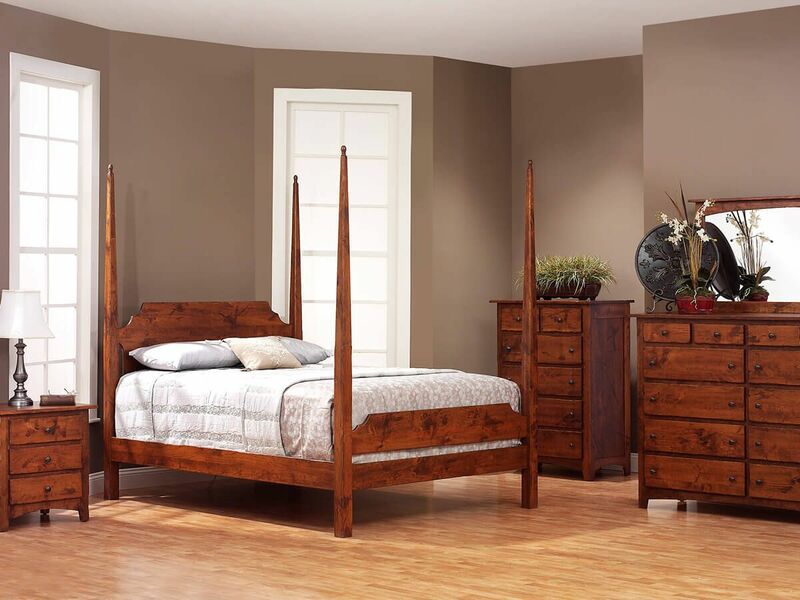 Two are felt-lined for jewelry protection while the center drawer of your dresser is lined with aromatic Cedar. Shaker in style, your Cascade Locks Grand Dresser is designed with gentle arches, inset side panels, and a beveled vanity mirror. 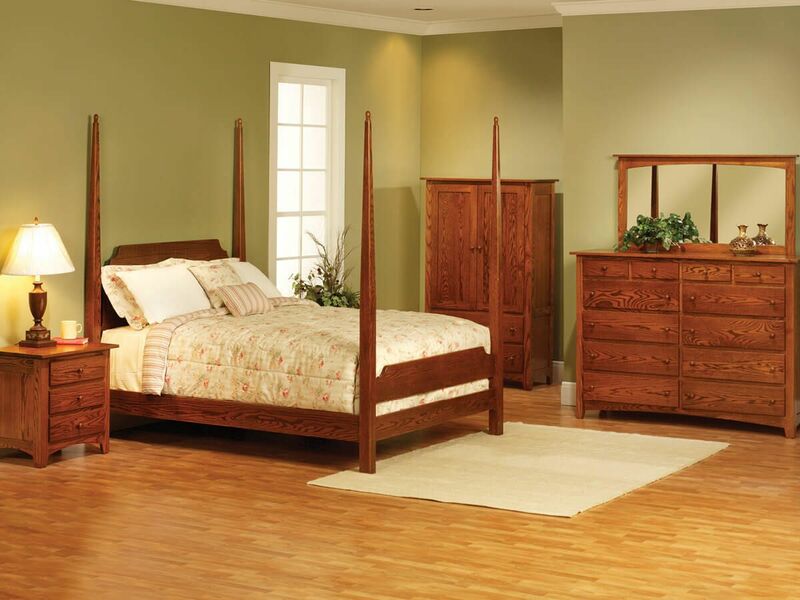 Using the options menu, indicate your preferred wood and stain for the Cascade Locks Amish Dresser. 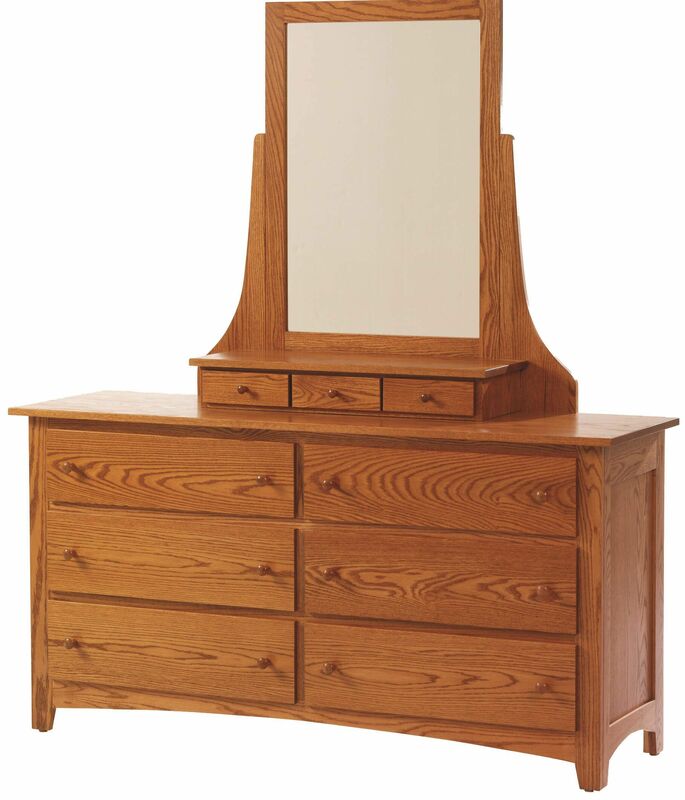 To obtain the pictured look on your own mirror dresser, choose Oak with our Summer Sun finish.